Nicholas Roerich sounds like an extremely interesting chap, and I’d strongly recommend you take a look at his biography on the museum’s website. Briefly, though, he was born in St. Petersburg in 1874. As a student (of both law and art) he met all kinds of interesting figures, including Sergei Diaghilev (founder of the Ballets Russes), Mussorgsky, Rimsky-Korsakov and Stravinsky, and after graduating he met and married Mussorgsky’s niece Helena. 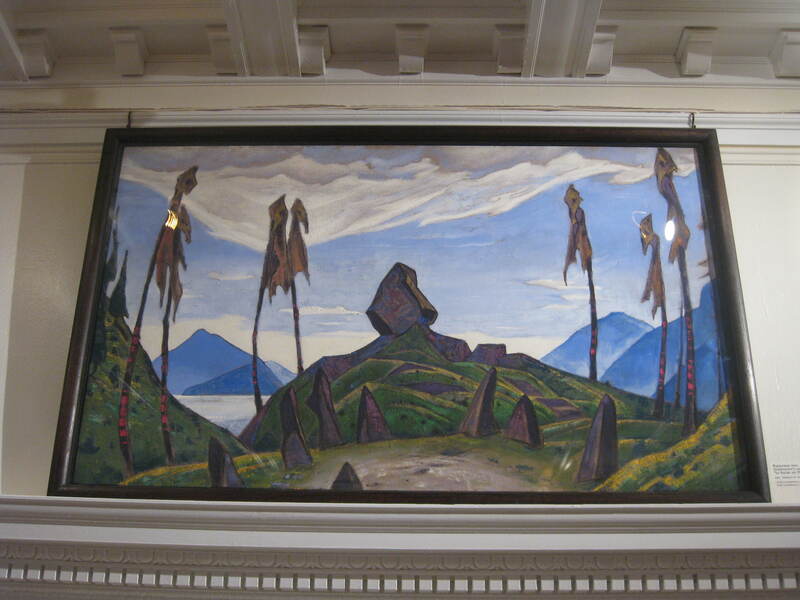 During the early part of the 20th century, Roerich pursued his interests in travel, archaeology, antiquities and painting, as well as designing the sets and costumes for Rimsky-Korsakov’s Ivan the Terrible and Stravinsky’s Rite of Spring. Backdrop for the Rite of Spring, painting made in 1930. In 1915 the Roerichs travelled to Finland, then moved to America by way of Stockholm and London, arriving in New York in 1920. Their stay was not lengthy, however, as they were set on India, for which they departed in May 1923, arriving in Bombay some 7 months later. From there they commenced an epic journey around the Himalayan region, an expedition which went on until 1928 when they settled in the Kullu Valley, where Roerich lived until his death in December 1949. 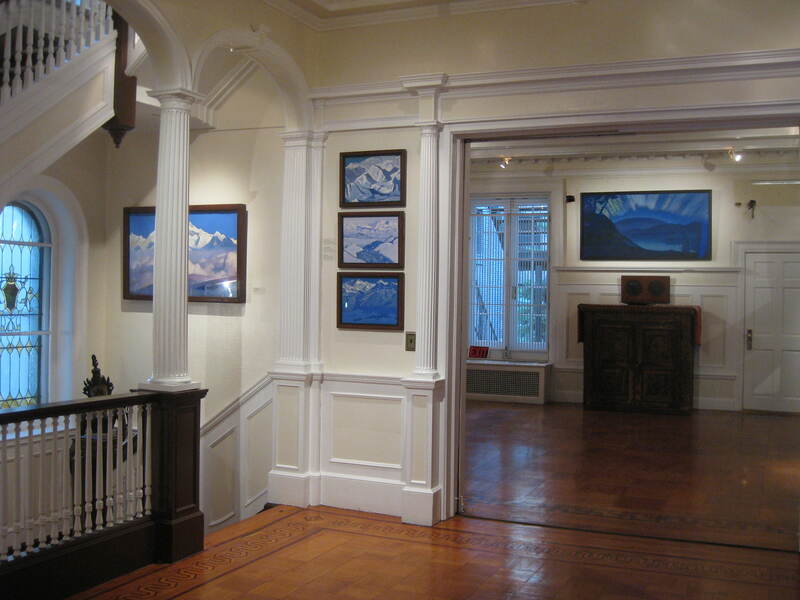 As a painter, Roerich was enormously prolific, apparently producing almost 7000 works Many of his paintings feature scenes of the Himalayas, and these are particularly well-represented in the collection displayed in the Roerich Museum. I really liked his work – his style was (to me, anyway) rather reminiscent of Cezanne, with flat planes, dramatic outlines and vibrant colours. The museum itself is also interesting, as it seems to have preserved much of the interior layout of the small brownstone which it occupies – a nice change from apartment living! This entry was posted in Museums/galleries and tagged art, Diaghilev, Himalayas, Mussorgsky, Nicholas Roerich, painting, Rimsky-Korsakov, Stravinsky by Emma Davidson. Bookmark the permalink. very interesting! thank you for the insight! Thanks Laura, I’m still pleased we found out about it & went to have a look!